You would be hard pressed to spend any amount of time in Baltimore without coming across a striking example of Michael Owen’s art. 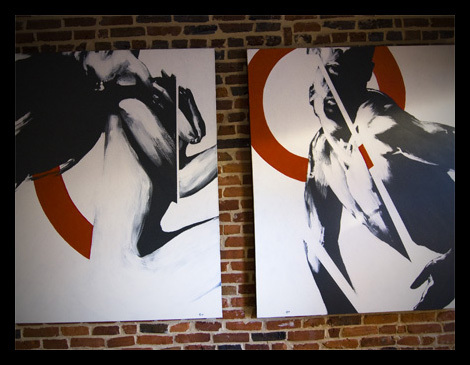 His images range from the largest mural in the city to pieces that would complement any personal collection. His work could be described as minimalist and often seeks out an intimate connection with its viewer. 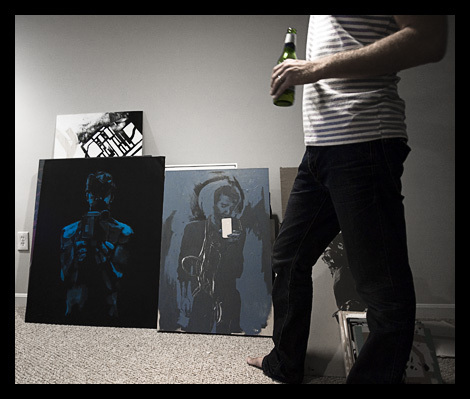 There’s a subtle, dreamlike deja vu in his paintings that resonates. 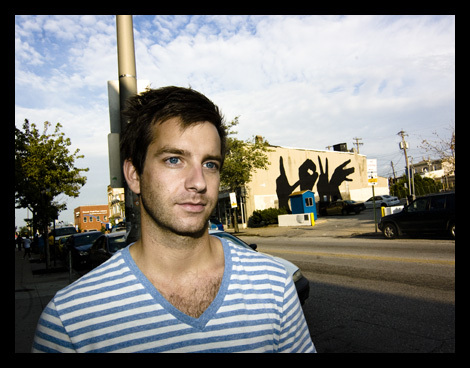 Michael’s current undertaking is The Baltimore Love Project, a non-profit whose mission is to paint twenty identical murals, depicting the word “love” spelled out with hands and fingers, throughout Baltimore City. The Baltimore Love Project was envisioned a few years ago when Michael created a design that spells out the word love with hands. Not surprisingly, hands are often portrayed in his work. The project aims to spread twenty identical murals throughout the city. The idea is to create unifying, positive imagery that’s distributed throughout Baltimore. Currently, nearly half of the murals have either been painted or are underway. The Baltimore Love Project is still in search of available walls on which to the share the love. 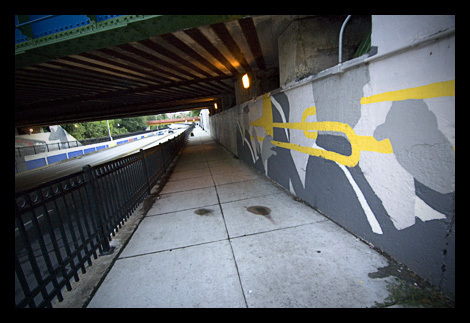 Owen’s past mural work includes the largest mural in Baltimore which spans a quarter mile on both sides of the bridge on Eastern Avenue that connects Highlandtown to Greektown. The imagery depicted in the mural is indicative of the people and the culture of the two neighborhoods. It’s been described as a parade of vibrant scenery marching through the city. 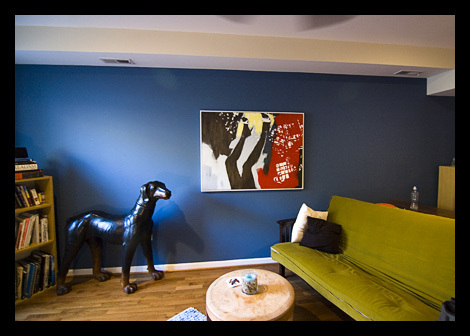 The mural is also an example of Owen’s minimalist style, which in this case is functional. The idea is that people will see the mural while they’re driving and will only be subjected to impressions of the mural. The imagery is exaggerated and bold and extremely effective at transmitting many scenes within the few seconds it takes to pass through. The Eastern Avenue mural was commissioned by The Baltimore Office of Promotions and the Arts via a national competition. Michael’s proposal was chosen over the many notable muralists who applied. As well as being an accomplished painter of murals, Michael’s fine art has been represented in several local and national galleries. 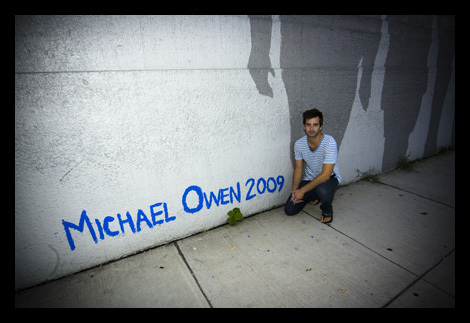 Michael Owen has recently been accepted to the Creative Alliance residency program. While maintaining his work’s overall minimalist sensibility, Michael’s fine art infuses a graphic arts sensibility in order to articulate the artist’s vision. Unlike his murals which tend to look outward towards the community, his canvas work is introspective and uses distinct imagery to convey complex states of emotion. To learn more about Michael Owen’s work you can go to his website or see his work at his nomination for these year’s Baker Artist Awards.